We decided to think out of the box this year and made a chalkboard hard wall for lotus events' indie i do booth display. The hard wall consisted of two 4ft x 8ft pieces that were held together by a strap at the top and one at the bottom and then propped up by a piece of pipe and drape without the drape. I * really * wanted to bring the boards home and have them on display, but we just didn't have the room! Don't worry, they didn't go to waste. They were picked after the show by a family who will be installing them in their family room for the kids to play with. Drawing on the walls? Yes, please! Want a button? Apply to be in our Spring show! Our application deadline, March 5th, is quickly approaching. Complete event information can be found on the Got Craft website and online applications can be found here. Vancouver’s largest indie craft fair is kicking off the 4th annual Spring show with over 50 local and handmade vendors. There will be giveaways, live demonstrations by Yudu and a DIY table hosted by Spool of Thread to make your own crafts. I sew handmade this + that. I know that sounds like a pretty broad term, but that's the best way for me to sum up what I make!! I make fun tote bags and fabric buckets for adults and for children. I make many different accessories for babies + tots, including cloth play blocks, wee chef apron sets, and cozy blankets. Many of my items can be personalized with a child's name or initials. I am also planning a line of housewares which I hope to introduce fairly early in the new year. I am inspired by so many things. We're pretty lucky to be surrounded by some amazing scenery here in Vancouver, and I find the colours of the seasons very inspiring. My family is a great source of inspiration. My two kids are super fun and energetic, and watching them learn and grow inspires me to make new, fun things for children. My husband is an incredible artist, and i love seeing the new art that he produces, kind of keeps me on my toes! Finally, I'm inspired by the amazing fabrics that I choose. The vast array of colours + designs are amazing, and I love mixing patterns in different and unexpected ways. Well, I've always been a creative person. I've loved drawing for as long as I can remember, and my mom taught me to sew when I was quite young. I always took art class in school, and also loved woodwork and pottery. Working with my hands is essential. After a few false starts in my post secondary education, I ended up taking an architectural drafting program at BCIT, and fell in love with the detailed and technical side of art. I worked in the industry for a couple years before I had children. When my son was born almost 5 years ago, I stopped working for others and turned my creativity back to myself. I started off making greeting cards and tags out of cut paper, combining collage and paper quilling. i loved doing that, but it was rather time intensive. I bought my first sewing machine when my son was about 1, and I haven't looked back. Someday I hope to introduce a stationery + paper goods division to smidgebox designs, but for now, sewing is keeping me very busy!! I am a self-professed fabric addict. I can still remember when I first discovered the world of designer cottons online, and I was instantly hooked. I have a pretty healthy stash going on, and it's all I can do not to buy more and more. I love mixing fun designer cottons + japanese import fabrics with denim + wool felt. The hardest part for me at the moment is that I have way too many ideas and designs floating in my head, and yet I haven't even got a fraction of the time I'd need to pump it all out. I love being able to be at home with my kids, and am trying to enjoy every moment of that before they are both off to school. Time sure flies. My favourite part of the crafting process is seeing a final product realized in my hands. But the best feeling has got to be getting wonderful feedback from a super happy customer, or seeing people's faces light up when they receive one of my items as a gift for their baby or for themselves. That is pretty great. Etsy: for obvious reasons. It is a total treasure trove of goodies just waiting to be found. Sew, Mama, Sew: great source of sewing inspiration, also lots of tutorials. oh, and a fabric shop, of course! Poppytalk: who doesn't love to read poppytalk? design, art, handmade. all good stuff! and i love love that jan is from vancouver, writing one of the most popular blogs in the 'sphere. PaperNStitch: another fun curated online marketplace, and a great blog too with lovely finds and great tips. I like Brittni's sense of style, and enjoy her posts. I am a total newbie, as I just opened my Etsy shop in May this year, so I'm not sure that I'm in a great position to give advice :) However, I have found that it's important to have a presence online other than just your shop. If you had a brick + mortar shop, you would spend lots of time and energy promoting yourself and your business in person, so the same applies online. What you have to decide is how far you want to go. Start a blog, a facebook fan page, a flickr account, or join twitter. You could choose all or one of these, but I do think it's important to be out there and get seen, and meet some peers. Not to mention, there is a fantastic community of people just waiting to welcome you. The handmade community is incredibly supportive, and if you're looking for more advice, or a sounding board for ideas, you don't need to look too far. I think there is a lot of overlap with those terms these days. We're not talking about grandma's craft corner here, although there is such a resurgence of this type of crafting [crochet, knitting, sewing, quilting, etc.] that it's hard to say even that. I guess what I feel is that in the past several years, craft and handmade has become so hip and current. And the quality of work that is being produced is absolutely incredible. So I definitely think that craft and art should be somewhat interchangeable. That being said, I'm not sure I'd consider myself an artist in the traditional sense. If you could see me paint a picture you'd know what I'm saying, it's definitely not my forte. But I do consider myself an artist in the sense that I am creating works with my textiles, and I hope that they are appreciated as being beautiful and functional, both. I heard about the free shop concept from a friend over at Little Mountain Gallery a few months ago. Of course, my first reaction was "it's free? no, seriously... say what?". Well, I finally get to experience it as the first Rhizome Free Store is happening this Sunday! Share what you have! Get what you need! Each month, the Rhizome Free Store has a different theme, allowing us to share our resources with each other. This month, we'll be sharing arts and crafts supplies. Bring crafts supplies--and ideas on how to use them! Come browse the free store, and choose some new (to you) items. When I started Got Craft?, I was a complete newbie to the DIY scene. I didn’t know my interfacing from my feed dogs or my slip stitches from my slip knots, but I was very enthusiastic to participate in the so-called contemporary DIY scene. So when Granville Magazine asked if I wanted to curate a DIY blog, I was beyond ecstatic! This blog is to promote DIY, announce crafty happenings, teach others to make stuff and celebrate crafters and all things handmade with a focus on Vancouver. We will talk to handmade artists, teach you how to incorporate DIY into your life and show you were to locally source your supplies and locally made finished goods. Interested in contributing to the blog? Do you know of an event that should be mentioned? 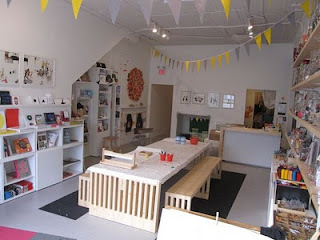 Maybe you want to see your favourite craft store featured? Leave me a comment and I will let you know how you can be involved! I love the translucency of porcelain, of course. But I'd also have to say plaster is a favourite – I can't believe I'm writing that, but it's actually true now. It's the material I need to make my molds so that I'm able to make what I make. It helps that i've gotten waaaaay better at mold-making so it's not the disastrous chore it used to be! I like having a bit of a laugh at the end of the day... regretsy is a new fave. ... because you know ... sometimes you need a pillow to express how you feel. A whimsical shirt that comes with a felt envelope and letter inside. Perfect for the little one in your life. Remember on the Simpsons when Ralph Wiggum gives Lisa a Valentine's? He said it best! Perhaps a key to your heart for your one true love? A get together to revel in Vancouver's amazing mixture of creativity, originality and talent. Admiring the romance between arts and culture to celebrate what makes us heart. Visit ' the heart on ' for more information! I make lots of different things... but as for what I make to sell that would be mostly felt brooches, toys, and bags/purses. I was encouraged to be creative with what I had when I was a kid (read: no money for fancy toys! Oh wait... that's now too! haha) so I've always that "well, if I can't buy it, can I make it?" mentality. What doesn't inspire me should be the question here I think! Whether I see something that is so fabulous that I want to try making it myself, or whether it's something so horribly designed that I know that I can make a better version, I find that I'm constantly inspired by the things around me. I think particularly in the spring and fall I'm influenced by the natural environment and I love all things Japanese so that definitely plays a part in my style and design. Also, when I go shopping for supplies, rarely do I have an extensive list of things I need to purchase. A lot of the time the things I make come from being attracted to a particular material. When I go to the fabric store, if I see something I like and really want to use, I think, what can I make with this? I guess I've had a bit of an entrepreneurial streak ever since I was a kid. When I was 12 one of my best friends and I started "R & B Odd Jobs". We went around the neighbourhood stuffing mailboxes with our photocopied fliers offering services such as babysitting, garden work, dog walking etc. We ended up with only ONE gig all summer which was cutting grass for my friend's dad's friend. Hah! As for the craft selling, when I was fourteen I learned how to make my own little weaving loom out of cardboard and wove a bunch of purses. My mom sold all 6 of them for me at $15 bucks a pop. I was hooked! First off, I really enjoyed the process of creating, and then secondly, I realised how satisfying it was for other people to like my work enough to pay for it. Mind you, they probably only bought them because they were my mom's friends... but hey, it was that little bit of encouragement that planted the seed for my crafty future! Currently that would be oil cloth. I do have a bit of a love/hate relationship with it though. I love the way it feels and looks but I hate the way it sews! I also really enjoy working with felt. It comes in such pretty colours, is soft, and is non-fussy to work with. Hardest: Not being able to figure out what you're doing wrong while making the same mistake over and over again. For example, I was not a happy camper when I first tried sewing in zippers. Favourite: Holding the finished product in your hand and just feeling proud because you created something (you think) is awesome. keyofgrey: did I also mention that I'm into music? Key of Grey is run by my boyfriend and is a daily blog with music gear reviews, questions and answers about producing music, and general music banter. facebook: I was hesitant to join at first, but am so glad that I did! It's really helped me connect with so many people and made organizing my 10 year high school reunion soooo much easier. etsy: I think this one is pretty self-explanatory. It's a place I get to sell my wares, and sometimes, more importantly, a place I get to *buy* goodies! It's so easy to get lost in browsing all the incredible things that people make. icanhascheezburger: no explanation required. hehe. And a few more words: spend some time to really think about pricing. In general, things always cost more than we think they do to make and sell them. It's not only the cost of the materials and the time you put in creating - there's so much more involved. For example, are you going to charge for the time it takes to design your product, purchase supplies, photograph, list, promote, package, and ship your items? Also, there are the cost of packaging materials, your tools, electricity, internet bills, camera, and so on. Eeps! I'm still not sure if my prices are what I want them to be or what they should be, but for now, they will suffice! Yes, these are different. What I am at any given point depends on what I'm doing... I consider myself both an artist and a crafter. However, for the business side of things, I would say that I spend most of my time as a crafter.